Kilbeggan Distillery – A visit to the Oldest Licensed Distillery in the World. It is Wednesday the 30th of June 2010 and Jim and his wife, Jacqueline together with Philip Giles (a past guest taster) and his wife Lorraine left their hotel just outside Dublin for the hour or so journey to the Kilbeggan Distillery. Kilbeggan Irish Whiskey and the Kilbeggan Distillery are part of the Cooley Distillery, the only independent Irish-owned Whiskey distillery. 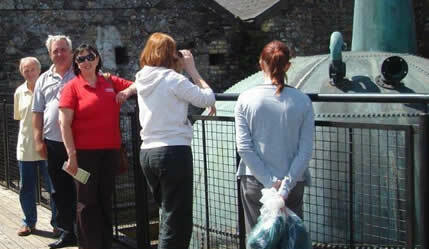 The Old Kilbeggan Distillery is situated smack in the middle of Ireland. It stands on the main road from Dublin to Galway (N6) in the small town of Kilbeggan in Co. Westmeath. The Old Kilbeggan Distillery has been maintained in its authentic glory and is open to visitors all year round. On our arrival at the distillery we were met by Ursula, one of the senior tour guides who welcomed us and advised us that Brian Quinn (the distillery manager) would chat to us at the end of the tour and give us one or two special tastings, (oh how happy were Jim and Philip that Lorraine was driving today). Kilbeggan distillery started life back in 1757 as Locke’s Distillery and it is believed to be the oldest licensed distillery in the world. It was with great enthusiasm and knowledge of the distillery that Ursula gave us a fantastic guide around the distillery which took us around the the large water wheel which was still in operation, powering all the mechanical aspects of this old distillery. When the wheel needed any maintenance or there was a shortage of river water then they brought into operation a powerful steam engine, which is still operational today. We also were taken around the cooperage and and the still safe and small pot still. 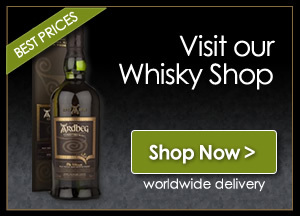 If you go to the following sites, www.kilbegganwhiskey.com then you can have the pleasure of having a video of Brian Quinn doing the tour, really well worth a look. The other site is www.lockesdistillerymuseum.ie will give you more details on the history of the grand distillery. This distillery has a great shop and a bar to get your Irish drams, and there is also a small cafe serving up some lovely local produce. The Whisky Boys best bit was about to happen, the meeting of Brian Quinn the Distillery Manager and hearing his stories and tales of this Distillery over the years, we could have listened to him all day, he then took us up to his office and his own private tasting room, Jim was like a kid in a sweetie shop, see the photo of the tasting table. Brian aloud us to taste any dram that we wished for and these included a couple of Connemara’s and the lovely 15 year old Kilbeggan Blend and one of our final tastes was the Kilbeggan Distillery Reserve Malt Whiskey, which is the latest addition to this fabulous family of Whiskeys and this Malt is the first new Whiskey in 53 years. 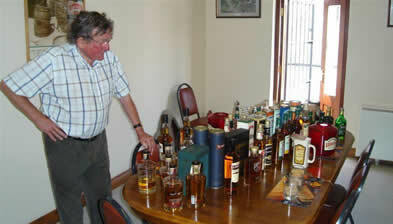 Jim and Philip did not want to leave, grand chat with Brian and a table full of wonderful drams, can it get any better? This was one of Jim’s favourite distillery tours not only with the enthusiasm of Ursula and the chat with Brian and his hospitality, but to see the old water wheel and to see all this ancient equipment still being maintained. This distillery is a must for anyone visiting Ireland, even if you are not a Whisky lover, this distillery/museum/shop/cafe/bar are all well worth a visit. So check out the websites above and also check out some of Jim’s photo’s in the gallery. To finish a BIG THANKSto all the staff at Kilbeggan but especially to Brian and Ursula, we had a great time, thanks again. Dougie got a bottle of Connemara Peated Irish Malt. Nicola got a bottle of Tyrconnel Irish Malt together with two special glasses.